CRUELTY FREE INFO - CRUELTY-FREE BECKY. Welcome to my UK-based list of cruelty-free brands. Shopping cruelty-free is an amazing pledge to take. Unfortunately there is a lack of clarity in what it means to be cruelty-free. Watch this video for answers to the queries below, or if you're strapped for time then click on the individual question for an immediate answer. If you need any more information, please do leave me a comment or read this post. Why is there a problem with animal testing policies? What is the quickest solution? But... what is the point in shopping cruelty-free? THE PROBLEM WITH ONLINE SOURCES. Don't believe everything you read online. Anybody can post a blogpost saying anything they want about a brand's cruelty-free status without accurate evidence. I would always check a couple of sources before you decide on where you stand with a brand, just for validity. These are the branded power-houses who are not cruelty-free (they either test on animals, purchase from suppliers who test on animals, or they sell to mainland China and therefore do condone animal testing indirectly as imported cosmetics must be cleared for human use through animal testing in China. Yes, it is very sad and also very ridiculous). These big names also own many smaller brands that we see online and in shops everyday (more on this later). First things first, you should get an idea of where it is you stand with the term 'cruelty-free'. There are generally two parts to the community: those who shop with cruelty-free brands who don't themselves test on animals, but are owned by parent companies who do test; and those who refuse to do so. For some time I fell into the latter category. I was pretty adamant against shopping with brands who had a parent company. 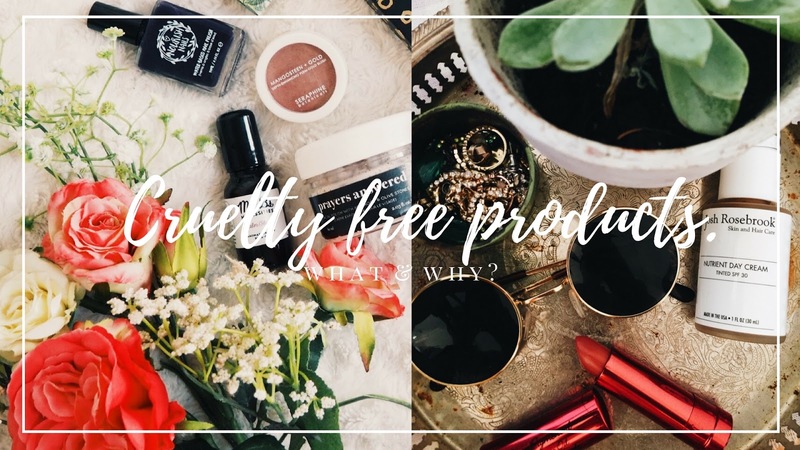 However, as I've learned more and more about the cruelty free community and how brand houses work, I've seen how it is also productive to support cruelty-free daughter companies. I try to avoid most brands with parent companies and love finding small indie brands to shop with, but I have started buying from brands such as Smashbox, First Aid Beauty etc. Either way, there is no judgement here as to which you decide to fall into, it's all love and everybody is on their own journey towards living a more compassionate life. You do you. The fact that you are trying to shop cruelty-free is commendable in itself! These are the brands that I deem to be cruelty free and which are available in the UK. Click the brand for more information where possible. [* = This brand has a non-cruelty-free parent company]. ROSIE FOR AUTOGRAPH BY M&S. Great post love you youtube channel! I'll definitely be checking back at this post because I agree a lot of cruelty free lists have different information on! I recommend Logical harmony she's great! hi please help me is now solutions cruelty free ? I have been watching your YouTube channel for a while now (time well spent) and I believe you have mentioned Essence Cosmetics as a cruelty free brand but I don't think it is mentioned on this list (I may have overlooked it), has there been a recent discovery that they are actually not cruelty free? I'm so sad about Original Source & Burt's Bees! I knew that the others were owned by dodgy people but I didn't know about these!!! Such a shame! Thanks for letting us know! You mention Waitrose one brand but what about other own brand products. Cooperative go on about bring the first big supermarket to be cruelty free own brand cosmetics and household products and I think Sainsbury’s cosmetics may be?